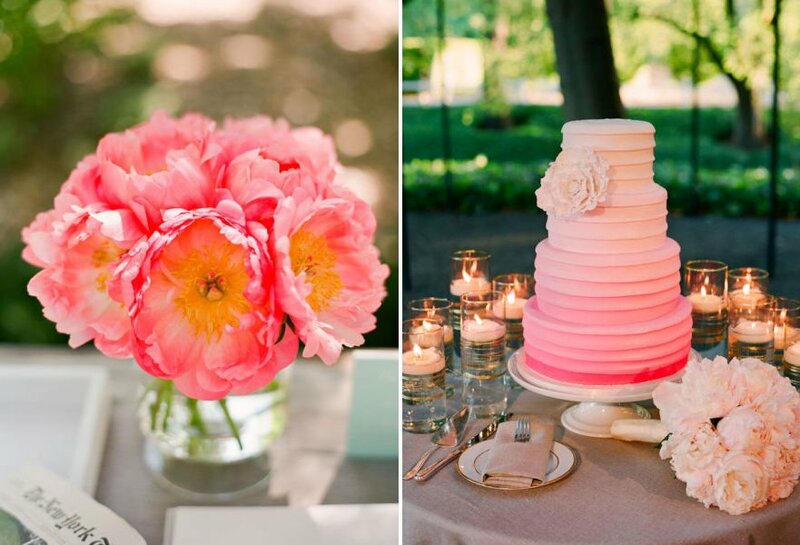 You have obsessed about your table arrangements, the seating plan and your dress (obviously!). That is unless you went full-on bridezilla. In that case, you obsessed about every. single. thing. On a side-note while it’s easy to become persnickety about the details, please don’t turn into one of those people. In our book, there is one thing that is definitely worth obsessing about. 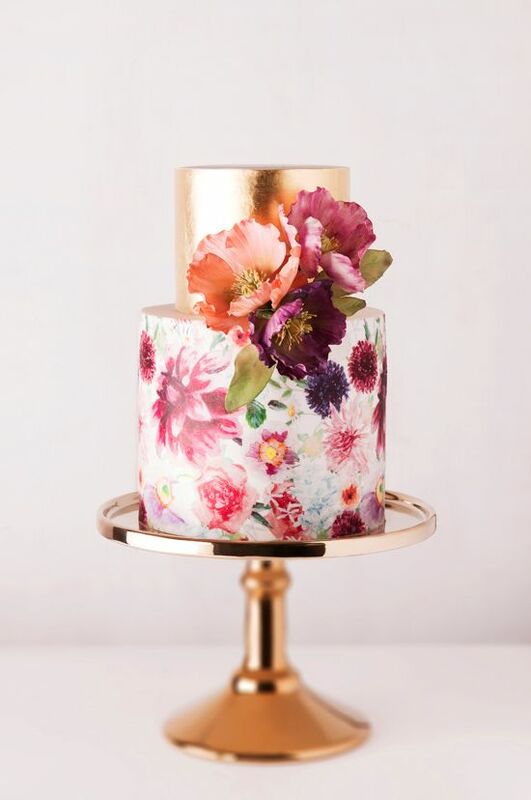 The delicious, delectable, scrumdiddlyumptious Wedding Cake! (like you even had to ask). Pardon us, while we soothe our sweet tooth. Cake is always important. 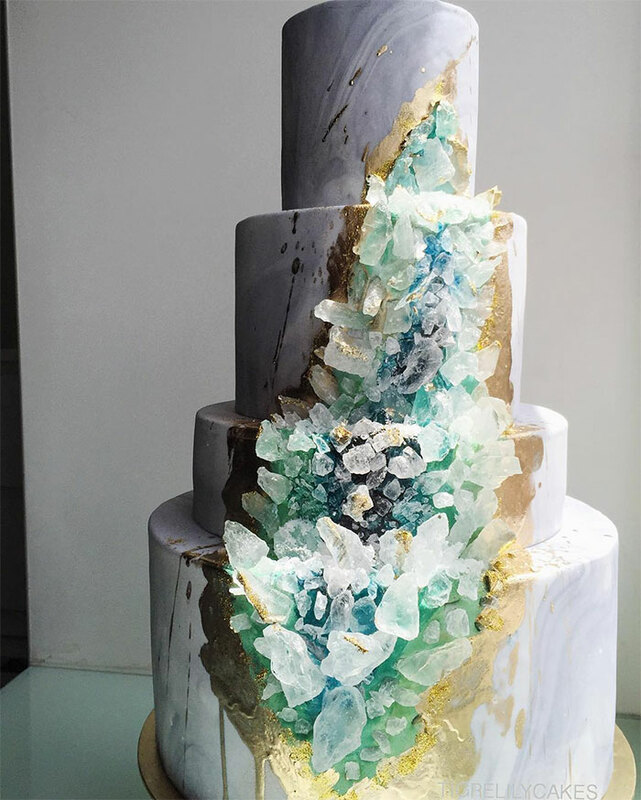 Wedding cake trends tend to ebb and flow, but this year’s artistic design trends are where it’s at. 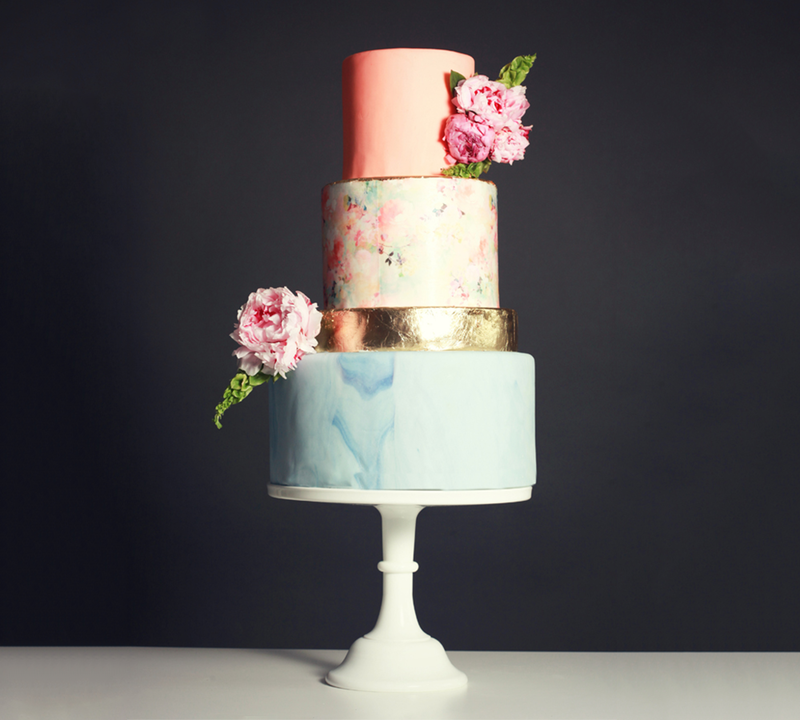 One wedding cake trend that is rocking the Instagram at the moment? 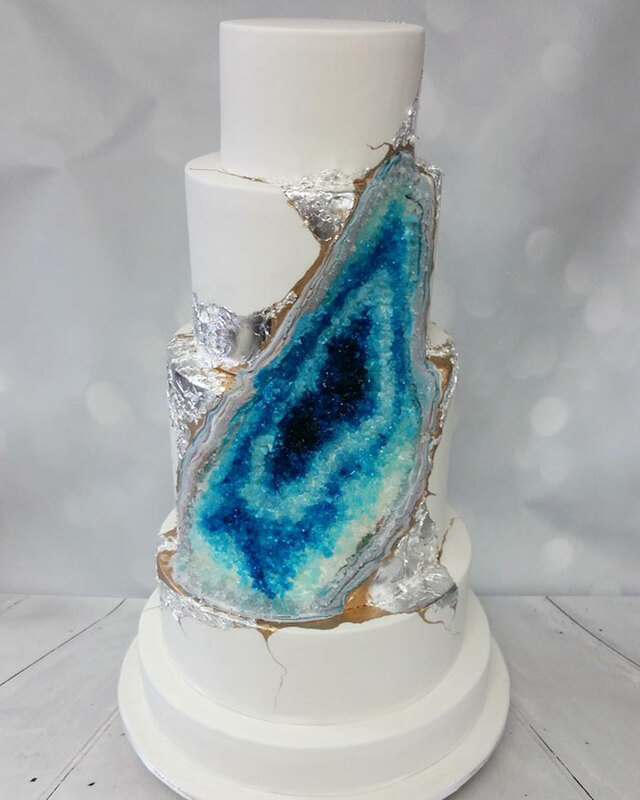 Geode wedding cakes. The trend was started by Australian pastry chefs, but plenty of pastry chefs all over the world are getting in on the game. 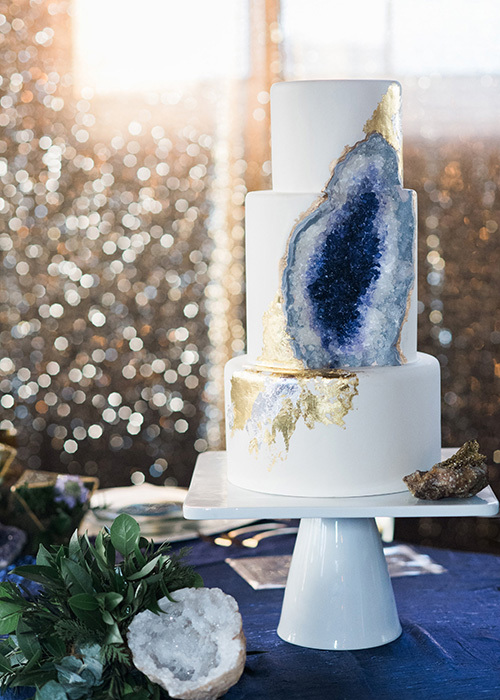 Now you are all – what is a geode? Geodes are volcanic rocks. And they look like normal rocks. Until they are split open and a gorgeous crystal interior is revealed. 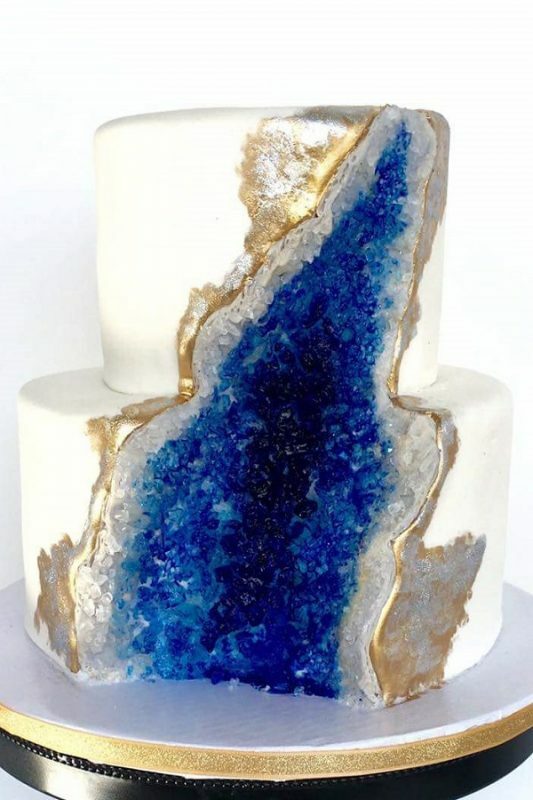 Geode cakes look pretty and they taste lovely too. 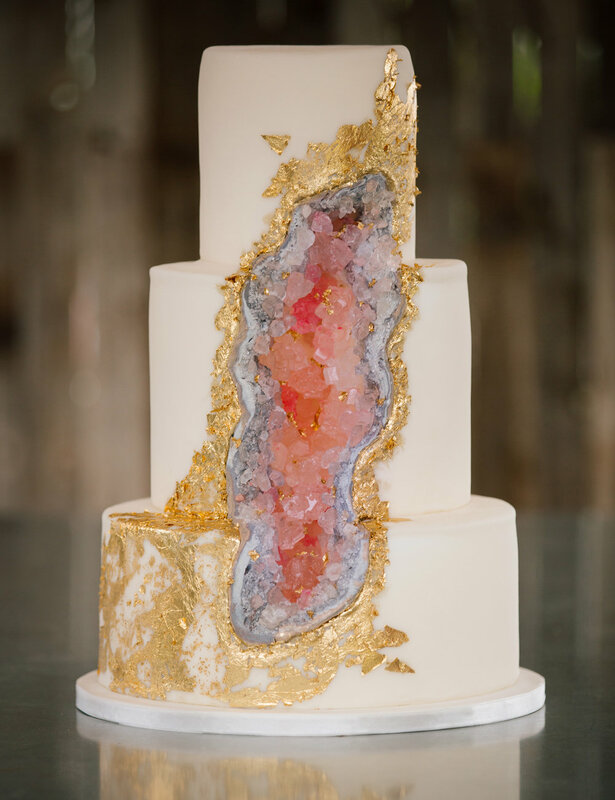 The geode is a combination of sugar-rock crystals, modeling chocolate and hand painting. 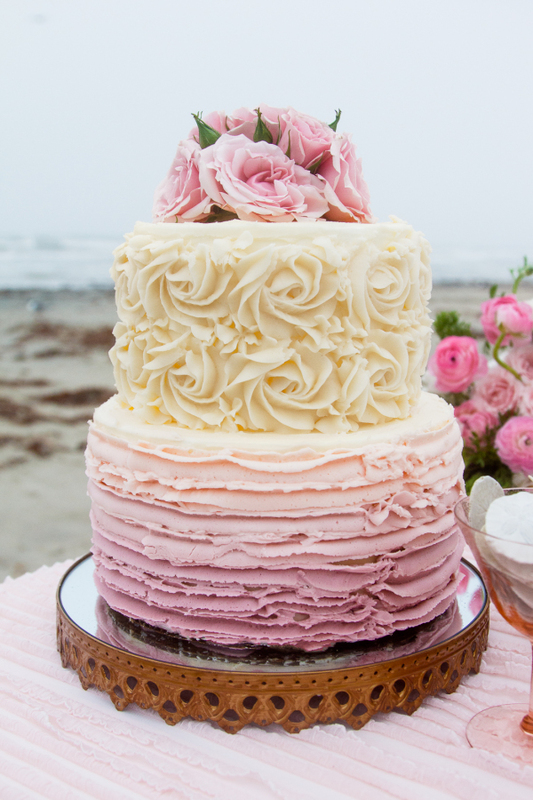 Lest you think this type of cake can be whipped up over night, think again. In order to grow the smaller sugar crystals it will take about three days and for larger crystals it can take up to a week. There were ombre manicures. Then there was ombre hair. 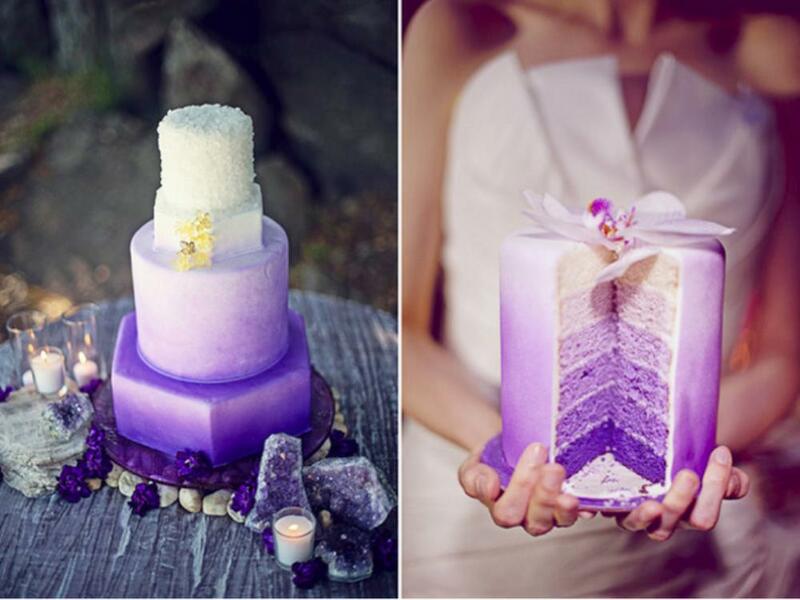 Now ombre has become one of the hottest wedding cake trends too. 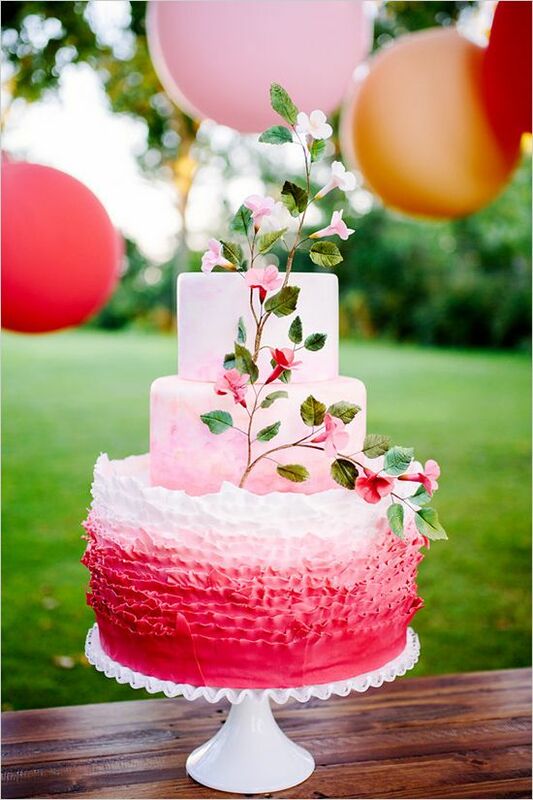 Chances are you will not be doing your wedding cake yourself. But for any passionate bakers out there who might be curious how the effect is achieved – it’s all about the frosting and the food dye. You divide the frosting and add the food dye to get different shades of color. To smooth out the frosting and get a nice gradient layer takes some skill. If we are honest – a lot of skill. 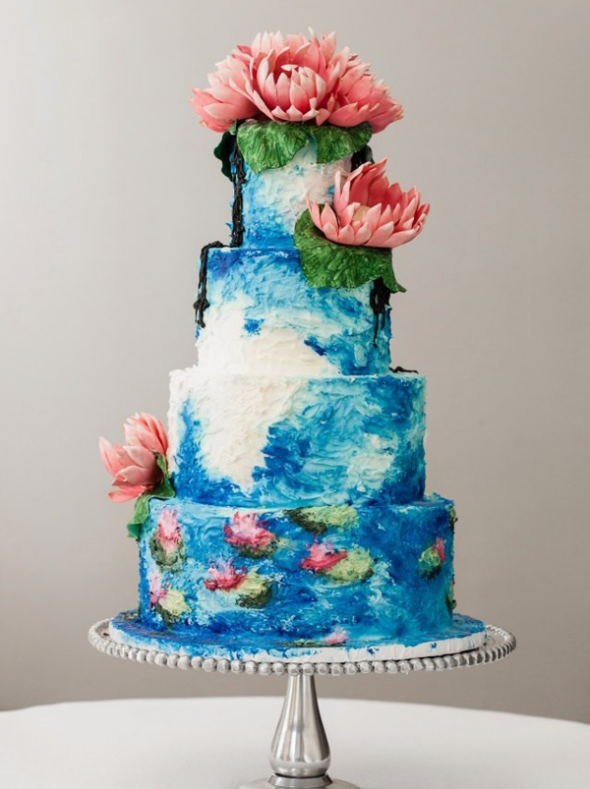 It involves piping bags and spatulas and making sure the colors do not mix together so you’ll need intermediate baking skills at the very least. 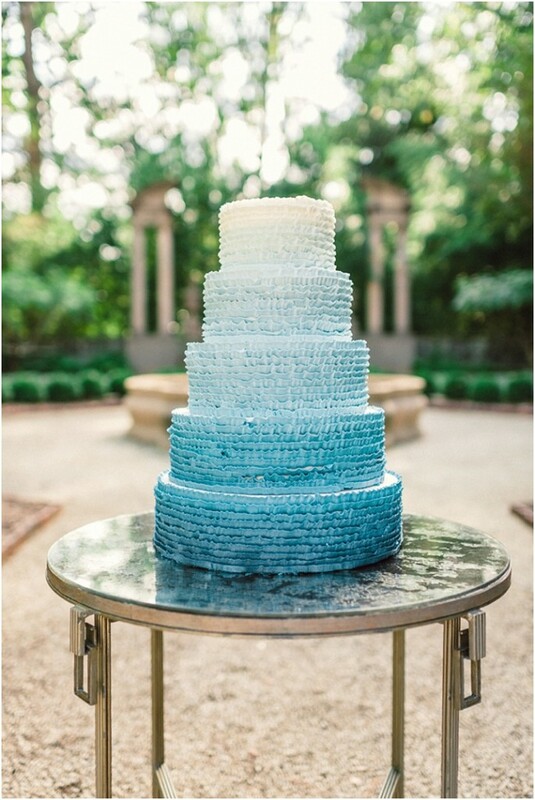 The beauty of an ombre cake is not only it looks stunning, it is easy to match with your wedding’s color scheme. Also there is plenty of room to get creative – you can go for bold, rich, vibrant hues or you can opt for paler tones if you want a more traditional look. 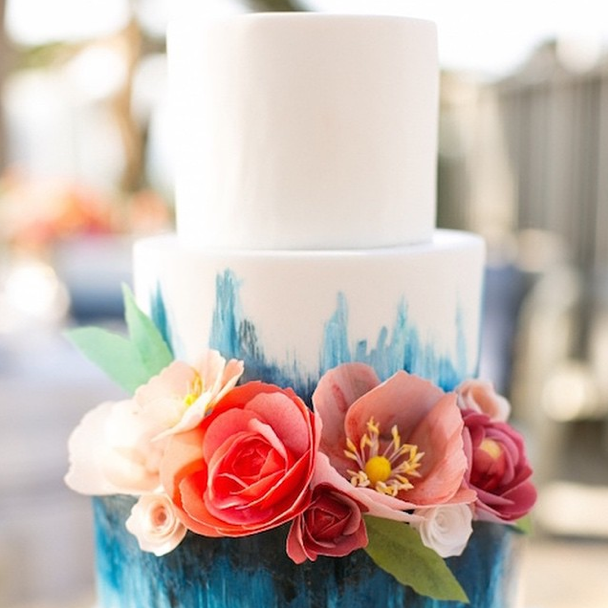 It does not get more artistic than a watercolor wedding cake. Just think about it – anything can serve as an inspiration. It can be your favorite painting. Or a flower. Or a pattern. The sky is the limit. 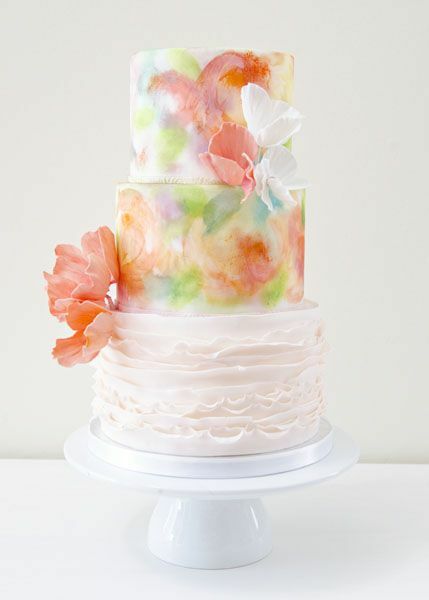 Watercolor wedding cakes can be done with both buttercream and fondant frosting. Do bare in mind however that if you would prefer a fancier design fondant is easier to paint on.